A city in need of a hero. He’s not wrong, but it’s also not something I’d really taken note of before. It’s possible it just meant less to me previously. At the time, I really enjoyed The Division 1’s leveling content. It was some of the best I’d experienced (with the caveat that this was only true in a group that stuck together). 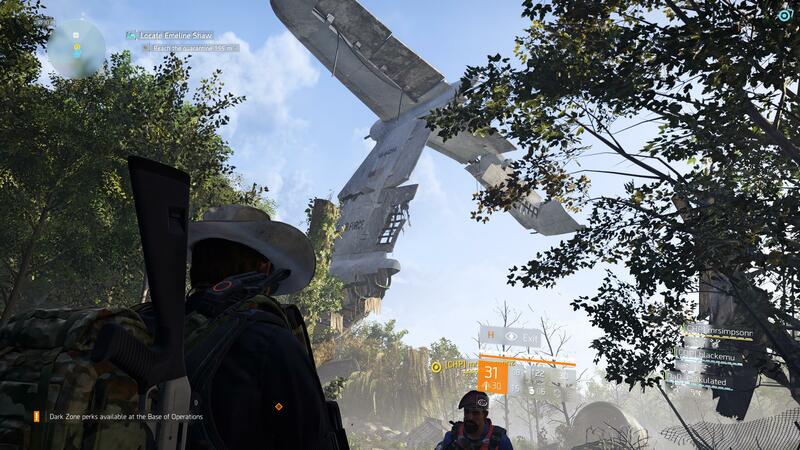 One of (at least two) downed planes you can come across. 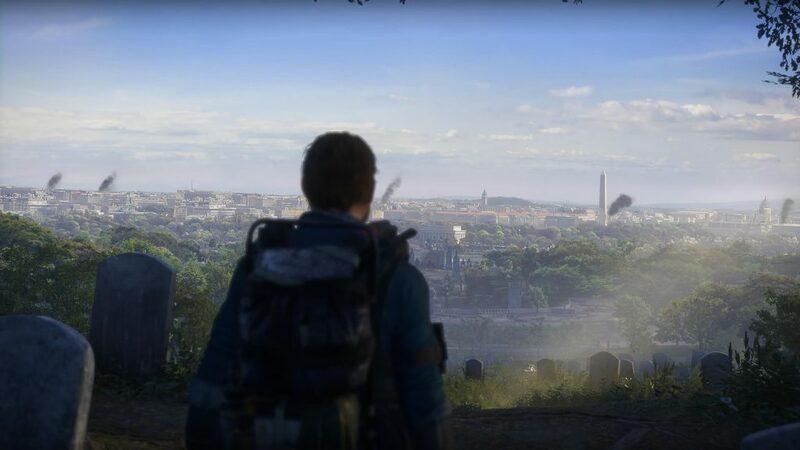 Nonetheless, Bel’s impressions stuck with me and since reading them I have been thinking of one sequence of events in The Division 2 in particular. I don’t want to give too much away, but necessary for context is that it would be fair to say your attention had been elsewhere up until this conversation takes place. They are at the end of their rope, splintering at the seams and beginning to feel like the end has begun all over again. This state is reflected in the scenery, and while it isn’t as bad as a place you might’ve just been — the need of these people is clear. And while your character is a silent protagonist, never uttering a sympathetic word, the change you can bring to not only their environment but the outlook on life is fantastic. There is a theme of life finding a way in the face of extreme adversity. Kids finding a way to enjoy the simple things again. I hadn’t necessarily planned on addressing the events of last Friday here again. Quite the opposite in fact, I had intended to talk to it once, get my say out and then in recognition of the fact this is a place for gaming rather than real-life news, move on. But I can’t. I haven’t been able to, instead getting quite stuck. I’ve opened countless ‘New Posts’, some inspired by other posts. Then maybe I get so far as to draft a title and opening line, only to then falter. It isn’t that I haven’t been gaming — I have. It has been a welcome respite from the continual heartbreak from the constant coverage of the event. I have no complaint with how the news media in New Zealand has responded to the event, in fact they’ve shown an amazing degree of maturity and respect, putting people first. 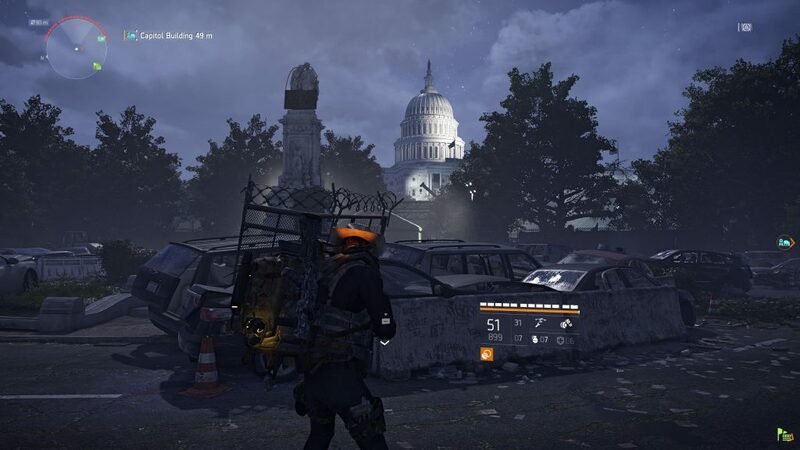 Gaming — in particular The Division 2 with other Kiwi and Aussie friends — has been a way for us to decompress and just breathe again for a little bit. But when it came to returning here and posting about it, or anything, I’ve struck something of a mental block. I didn’t see a way to return to normalcy — a feeling perhaps paralleled in life a little bit. How could I return to such a light-weight topics like Friday never happened? It hasn’t even been a week yet, but it feels like a time from another age. I sort of joked about this last month1 in the ‘Planning for Success’ section, but I don’t really have a post schedule per se. My internal commitment (well, formerly internal, I suppose!) is one post a week and I’m not close to breaking that. I was still conscious though, that already today would have marked the longest break between posts since I started. My hope is that posting this will act as a bridge between the worlds, here. That I can acknowledge the necessary role that gaming is playing in maintaining breathing room and overall mental health, without taking away recognition from what has happened. As an aside, the outpouring of support for the Islamic victims as a nation is beautiful. At least one Catholic church has opened their doors, hosting inter-faith services with Islamic leaders standing side-by-side with Catholic priests. Even in the corporate world, bitter rivals in to Telco space banded together to proactively block sites hosting the hate-fueled, white supremacist terrorist attack footage. This is what New Zealand is made of. This is who we are. Incidentally, today marks the end of Month 2. I just realised as I looked up that post. Prime Minister Jacinda Adern has rightly called yesterday (15th March, 2019) ‘New Zealand’s Darkest Day’. Covering real world news is not something I intend to do normally, but this is so incredibly far from normal. If you’ve not yet heard, Christchurch, one of the most beautiful cities in New Zealand was subject to a terror attack at the hands of a small number of white supremacists. At this time, there are 49 confirmed deaths with 48 more critically injured in hospital. Children are among this number. By far, the worst our country has ever seen. For updated details, NZ Herald and Stuff are doing their best to keep up with it. So I’ll keep this short. This act of violence was horrific in every sense. It was cold, calculated and utterly born of a place of hate. It was evil. It was terrorism. Jacinda Adern took a strong stance and called it what it was with no beating around the bush, so while I do not agree with all she does, in this she has my utmost respect and support. The values that lead these white supremacists to this action are so foreign to NZ as a culture it is a type of shellshock that the nation is experiencing in even trying to fathom how we got here, to the first day in our history of being at high terror alert. At having to warn Muslim people to stay away from their places of worship and prayer lest there be more attacks planned. There is nothing I or anyone else can say to make this right for those most directly affected, but nonetheless know that all the love and support I can muster goes with you. This is true, too, for those who were separated from their children or parents today due to the city going into lockdown while IEDs in cars were found and disarmed, while we couldn’t be certain there were no remaining active shooters. To the members of my team based in Christchurch, who called reporting the gunfire they could hear (their office being no more than a 5 minute walk from the Hagley Park Mosque), without yet knowing what was going on — your assistance and calm in locking down the site and keeping everyone there safe makes you heroes in my eyes. Yesterday was a horrific day, and tomorrow is going to be one of reckoning. In one sense, because the confirmed shooter is in custody and due to appear in court tomorrow, sure. In another because of the resurfaced trauma just barely put to bed after the loss of life and homes in the Christchurch Earthquakes. Victim Support New Zealand — whom you should reach out to should you get a sense of those feelings returning — has also setup a ‘Give a little’ page for anyone who would like to donate to support those most directly impacted. It was sitting just under $NZ400,000 when I was last able to load the page but the demand to donate is rendering the site difficult to use at the time of writing. I actually had a post drafted on the Epic Store going back to the Metro: Exodus debacle. I ultimately decided to let it go and delete the post. I can (I suppose) live a little longer without Satisfactory, Hades, Metro, etc in my life if I need to. 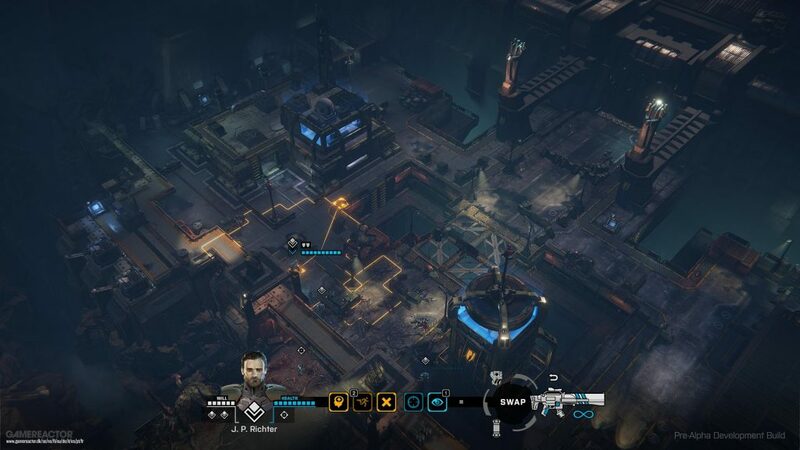 Today’s announcement comes in the form of Phoenix Point — a game from Julian Gollop, designer of the original X-COM games — announcing the increasingly typical year-long exclusivity deal with the Epic Store. Metro caught a lot of heat for their last minute switch-out after being available on Steam for preorder for quite some time. They at least honoured the preorders of those who had dropped money on the Steam edition, though. Why Be Mad About This? A legitimate question. There are some things to like about Epic. Not least of all an introduction of an additional competitor for Steam. This should be a good thing for Developers and Consumers both. But it isn’t — not yet. There has been zero expressed interest in winning the battlefield for consumer consideration or loyalty. No desire to bring people over by carrot — by fostering goodwill through a better service that treats their favourite developers more fairly as a point of differentiation. That would be compelling for a goodly number of people. But not enough? OK, I can see that. How about providing more competitive pricing than Steam, yet still seeing a larger sum in developer pockets? Those are some examples of good ways to compete which would have seen an organic user-base growth and positive word of mouth. Instead of trying this first, the stick was brought out immediately. The stick of third-party exclusives being introduced to the PC-realm. Want to play this title you’re reeeally excited about? Excellent. Buy it from us because you have no choice. We offered more Fortnite-money than any right-minded developer could say no to, and bought their exclusivity. Steam isn’t blameless here, the impression I’m getting from their relative silence on the matter is one of overwhelming confidence that Epic is a fad that warrants no response and will just sort of go back to playing with toys in the corner shortly. I probably prefer this over starting an all out exclusivity war. Steam for all it’s many faults, including the handling (or rather, lack of handling) the curation of content on its service, has been a relatively benevolent digital storefront in its position of monopoly. Developers were free to sell anywhere else they chose alongside Steam, even allowing generation of Steam keys for the purpose of selling elsewhere. Because the email with this news was certainly not a great start to this one! Still, there are some silver linings. For me only the first — ability to refund — matters. I just can’t get my head around supporting the introduction of third-party exclusives to PC, no matter how much I otherwise want the title in question. Refunds are available for the next 28 or so days, via this link. If you accept the new terms and stick with it, you’ll get Year 1 DLC on Epic. You will also get a choice of Steam/GoG key when they release a year post-Epic-release. Heck, as of 13/03/2019 as I post this, the link STILL promises Steam, GoG and Linux support. I do think this response to be unlikely though. Not impossible, but unlikely. Warning: Some elements of the negativity drive might be spinning up in this one. In case it wasn’t clear — I’ve put Anthem to one side for the moment. This started out in a fairly happy and OK space. The revised expectations I put on the game during the second demo weekend were all met if not actually exceeded. And despite my warning at the top of this post, I’m not yet ready to make any dramatic style, ‘I’m done forever!’ type statements. I may not even be done for long. But without any doubt, for the moment at least, I am done. There are two more in the thread, one which indicates they believe they can take ‘Months’ to fix this. Rather innocuous sounding if unaware of the context, I know. You may recall Isey’s post from a couple of days back urging BioWare to claim and own the increase to the loot drops people were seeing. Isey warned of the anger that would stem from taking this away a second time. The video is well worth a watch for a summary of the reactions at the moment and the camps forming around the change. What they’re perhaps not understanding yet, is that even with their loot improvements — their loot game simply isn’t strong or engaging enough to have that effect yet. Scarcity plus relatively uninspiring loot is becoming a player-churn driver rather than they player-retention driver they hoped for. Once you’re decked out in ‘Somewhat OK’ masterworks in the Javelins you personally care about, the shine wanes fairly quickly. What should be the best part of a loot game — the refinement and optimisation of your build — is entirely missing or is too dispiriting to try chasing after for very long. This could potentially be addressed in a number of ways, and a raw increase in the number of drops exchanged for your time invested is possibly the bluntest instrument in the toolbox. I acknowledge that. But it’s also the only one BioWare has right now. They can clearly switch it up quite quickly, something that would not be true of introducing alternate, more delicate, options such as a reforging ability1 or adding more diversity to the masterwork/legendary effects and items pool. But… Chad’s response really got under my skin in this instance. I’m not even 100% sure I can adequately articulate why, either, other than to say it is some awful mix of condescension while also being completely tone-deaf. There is a lack of empathy or understanding there so complete it makes me not want to hear from Chad again. Certainly he should refrain from tweeting again on issues like this, and possibly it should be reconsidered whether he is the right person for ‘Head of Live Service’. *sigh* I’m a bit surprised at how much this tweet chain resonated and in such a negative way with me. Text is a poor communicator of ideas at times, and I’ve been trying to keep myself open to this fact. Interpretation of the emotive content (or lack thereof) is always going to be subjective at best. I acknowledge that. And yet I feel it so completely with this I know I’m going to be hard-pressed to be convinced. Like I said earlier, I’ll be back to check on progress again. I’m not ‘done’ done, I’m not even ready to take the game off my ‘interested’ list. There are plenty of distractions (too many, in fact!) here now or coming soon. All the while though, I’ll be keeping my fingers crossed for a strong April and May in Anthem-land!